Does LottOdds Really Work? Read 3 Reviews! LottOdds is a lottery software program aimed at helping you pick the numbers that will supposedly increase your odds of winning. Over time, we have reviewed so many apps and software products that supposedly improve your odds of winning the lottery. Guess what, today we’re about to take a look at yet another such product. 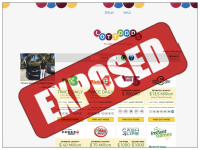 LottOdds supposedly employs an algorithm that makes it easier for members to pick numbers for various lotteries. The person who developed this program has apparently won multiple times (sometimes on a daily basis) but evidence about the accomplishment is missing. Is LottOdds really worth the monthly subscription fee? What Is LottOdds and What Does It Do? 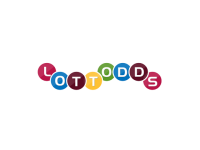 LottOdds is a membership portal that aims to provide members with an algorithm for choosing the right lottery numbers. The problem is that you don’t get any information about it before you sign up and pay the membership fee. We did create a LottOdds profile but information still seems to be scarce. The developer doesn’t let you know exactly how the algorithm works or how much it improves your odds of winning. There’s no evidence. On multiple occasions, the developer of the program had promised followers to provide proof of his winnings (in the form of a lottery cheque, for example). Such information is yet to be delivered. Being a LottOdds member costs 9.95 dollars per month. The payment is made via PayPal, but keep in mind it’s recurrent. Once you sign up, even if you intend to only check out the software for one month, you will be charged automatically. Unless you cancel the subscription via PayPal, you will issue a payment every single month without being asked about it. There are dozens of forums and websites whose members have been trying to find out exactly how LottOdds works. So far, nobody has provided any concrete information about the algorithm and the manner in which it supposedly improves the odds of winning selected lotteries. According to the official presentation, LottOdds relies on pattern recognition. Supposedly, all lottery numbers being drawn sit on a pattern. These patterns can be used to identify the digits that have high odds of being drawn and the ones you should not choose when buying your lottery tickets. Odd and even numerical patterns are being utilized. Consecutive numbers, split pairs, information about past winning numbers and high/low patterns are apparently also being used by the prediction tool. There’s no confirmation if this is really the case and whether any science at all is used for the choice of the lottery numbers. Apart from the prediction tool, LottOdds also features a couple of other functionalities. The draw alert allows you to set email alerts for no hits, odd and even repeat or doubles. The no-hit alert, for example, will give you information about the number of days in which a lottery chart has not produced any winners. The win alert will make it possible for you to enter the lottery numbers you’ve played or are watching. Whenever those numbers win, you will receive an alert via email. This may all sound good but in the end, it doesn’t add up to a lot. You’re left with a prediction tool that’s based on a questionable logic and a forum in which most posts originate from the person who created LottOdds. There’s a lengthy user agreement that you have to accept in order to create your LottOdds profile. As expected, there is no guarantee that the website will provide an accurate estimate. You use it on your own free will and if you lose when you buy a lottery ticket based on LottOdds numbers, you’ll be the only one to blame. Obviously, LottOdds cannot be held liable or accountable for losses that people have incurred as a result of utilizing the software to play the lottery. This is pretty much a standard condition that protects the developer of the platform from court action undertaken by subscribers. If you go through the how-to videos featured on the website, you’ll see there used to a 100-dollar warranty available. Currently, this option is removed from the platform and it apparently no longer applies. It’s very difficult to identify the entity behind LottOdds. If you go to the website’s forum, you will see all of the introductory posts as being created by someone called Bmehmet. This is the individual who has posted about multiple wins, some of them apparently occurring every single day and even multiple times per day in the case of smaller state lotteries. When the WhoIs information for the website is checked, it suggests that the website is registered by someone called B. David Mehmet from Ashburn, Virginia. Obviously, this is the same person as the forum poster. Mehmet has a number of other registered domains but none of them are related to the field of lotteries. There’s no information about this person’s expertise, background, and authority in the field. If you have 10 dollars per month you want to waste, LottOdds is definitely a good option for you. While some people believe it has helped them craft a winning strategy, even they report that the algorithm is sporadic and cannot be trusted to provide consistent lottery winnings. The person behind this product doesn’t even stand proudly to tell the world who they are, why they have authority in the field of lottery systems and what the specific characteristics of the platform are. You have to sign up blindly and hope for the best. Unless you pay the subscription, you will not get access to the features. The only way to test LottOdds is to pay for it. if you are dissatisfied, you can cancel the subscription but you’ll still be 10 dollars short. Our final recommendation is to avoid this software. It’s not going to tell you anything you don’t know already and you can easily create your own lottery strategy on the basis of hot and cold numbers or another type of statistical analysis. Because of all these shortcomings and the lack of a good, detailed presentation, LottOdds gets a 1 out of 10 stars rating. Lottodds strategies do NOT work that David tries to push onto people. If his strategies were so successful then he would not need to collect $10 off of people to make money! David basically plays over 200 numbers pick 3 box then wins like $80 so he losses more then wins. ALL the people on Lottodds are losing money playing with his strategies and he posts his wins to try to get them to keep paying that monthly membership. Don’t be fooled by Lottodds as it WON’T make you money! Instead you will lose money paying a monthly membership to scam artist David Mehmet! I have used lottodds since April of 2018 and I have won multiple times on my pick 3 because of it..like stated it’s a tool to utilize in making an intelligent choice in choosing my lotto numbers..I will definitely keep using it and gladly pay $10 a month for it. I thought that I would be using these techs for mega million, so I paid for the subscription. But, this website only gave me pick 3 for my state, which I am not interested in playing. The only time I saw mega million sign was the first webpage before I subscribe. I felt I cheated after all!